an ‘end-to-end’ electronic or electro-mechanical service often involving a combination of PCBAs, wiring and mechanical elements. 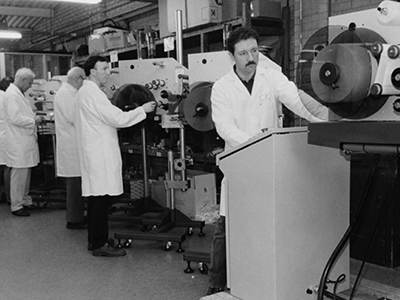 1983 – JJS Electronics Ltd is started by Pete Butcher for his three sons – John, James and Stephen. The company traded from a building located at Ladywood Works, Lutterworth – the same premises that Sir Frank Whittle used to build and test the WU jet engine, back in 1938. 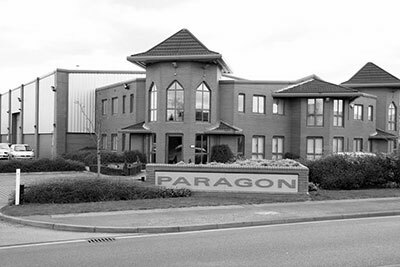 1986 – British Insulated Callender’s Cables (BICC) Group acquires Transmitton Ltd (now part of Siemens) and soon after their CEM provider – CBL Electronics Ltd.
1987 – JJS moved to a new factory in Oakberry Road, Lutterworth. 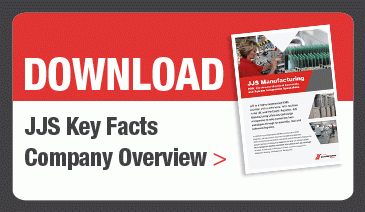 1989 – JJS acquires CBL Electronics back from the BICC group. JJS Electronics Ltd now owns premises on Gilmorton Road and Oakberry Road, Lutterworth. The Oakberry Road site is used for PCB production, and the Gilmorton Road site for cable harnesses, along with control cabinet build and panel wiring. 2005 – The business establishes a 40,000 sq ft factory within Chomutov, Czech Republic, which receives its BSI accreditation later in that same year. 2009 – £750k investment made in IT infrastructure, plant and equipment. 2018 - Group turnover exceeds £43m. Additional 13,000 sq ft facility acquired in Chomutov, Czech Republic. £500k additional investment in IT infrastructure, plant and equipment.